So whats the part number for the 80C Thermostat?? 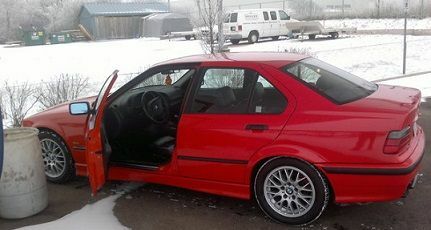 For part numbers I always use either http://realoem.com or http://bmwfans.info. On looking though, I can't see it on either (for the 80*C) but I just bought one at Part Source in Ottawa a few weeks ago, and they had them in stock. Check your local? Are there different parts for 96+ cars as i got all the info from understeer.com, and apparently if you get the kit from them it works on all E36 328 but these guys say those part number do not fit?? So order? That thermostat and fan switch will work?